Men across the world have faced the electric shaver vs razor debate at least once. Most of them cannot decide which is the ideal choice for providing them the most satisfactory set of benefits. It is true that both shaving solutions have many excellent features and that is why it is so hard for most men to make up their minds. We will take a close look at the advantages and disadvantages of having an electric shaver or razor to clarify things up for every man. Electric shavers are great for your hygiene management, and their technological features have substantially improved since they were invented. In the razor vs electric shaver debate, the latter has a major advantage because of the great comfort factor provided to the user. An electric shaver offers a smooth shave thanks to its flexible head. This can easily move in relation to the shape of your face. With an electric shaver, you can benefit from a dry shaving compared with a manual blade shaving, where you need a lot of preparation. Many men prefer electric shavers over razors because they can save a lot of time through a quick dry shave. If you don’t know whether to choose a razor or electric shaver, you should know that a high-quality electric shaver will prevent skin irritation, bumps, and cuts. 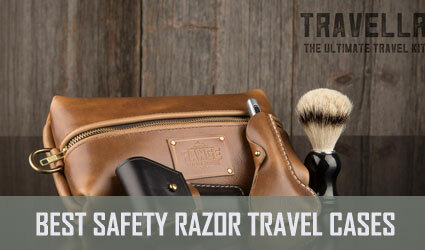 In other words, you won’t have to worry about the risk of bleeding when you get a close shave. 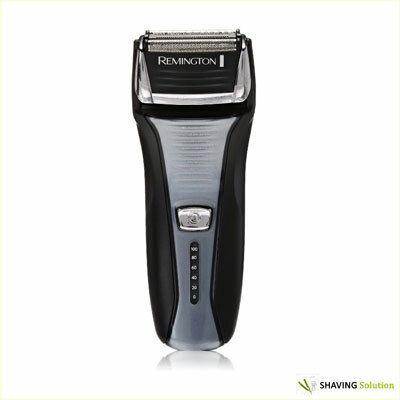 If you use an excellent electric shaver such as Remington F5-5800 (one of the best rated Amazon products), you can get a shave in less than four minutes. However, if you use a manual blade, it will take you at least 10 minutes. In other words, we have another plus for this device in the electric shaver vs razor debate. Another important aspect worth mentioning is that electric shavers are designed to be quite durable. For instance, some of them can easily last for more than seven years. No one will stick to an electric shaver for such a long period but this fact proves how efficient these devices are. 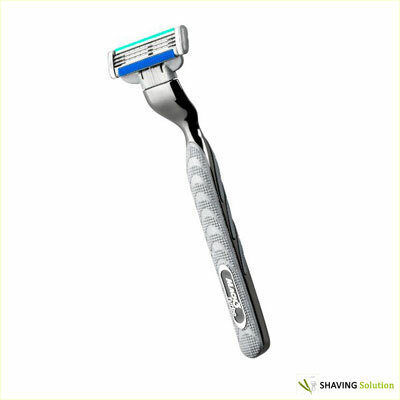 If you use an electric razor you might reduce ingrown hairs, cuts, and nicks as well. These small injuries can be quite annoying and can contribute to ruining your mornings. So, opt for an electric shaver if you prefer a clean, fast shave. 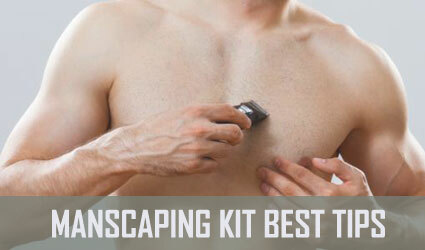 Despite the fact that they are bulkier than razors, electric shavers are usually more portable. You can use them anywhere, thanks to the dry shaving option. It is true that many electric shavers are highly efficient nowadays. However, when it comes to a close shave, manual blades are the better choice. Many electric shavers make a lot of noise, whereas manual razors don’t. If you are the type of man who likes to enjoy a quiet shaving, then you will go for the razor in the electric shaver vs razor debate. An excellent and high-quality electric shaver is pretty expensive. On the other hand, razors are generally cheap.  Plus, if your electric shaver suffers any type of damage which is not included in the warranty, then you will have to support additional costs as well. If you switch from a razor to an electric shaver, you should know that your beard and skin will take some time to adapt to this change. This means that at first you might experience a bit of discomfort. Regardless of the fact that a new electric shaving machine can be used in wet conditions, you won’t be able to use it in the shower, because its circuits will burn. When thinking about the razor vs shaver controversy, you have keep in mind that electric shavers need an electrical outlet or rechargeable batteries to function, while manual razors don’t. If you don’t make sure to recharge their batteries, electric shavers might stop in the middle of your shave and that can be frustrating. If you want to use an electric shaver, then you need to know that compared with manual razors, they need better cleaning and a higher maintenance. An excellent blade will help you get the best close and clean shave for a long period. You can have plenty of razors at your disposal. By doing so, you don’t have to worry too much about hygiene and maintenance. 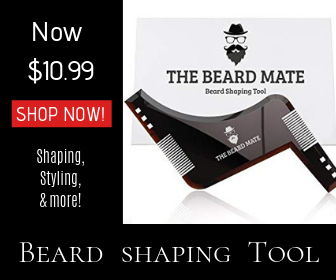 For instance, you can go with the Gillette Mach3 (on Amazon) manual razor with the 10 blades package set that is not just cheap but also a long lasting product. 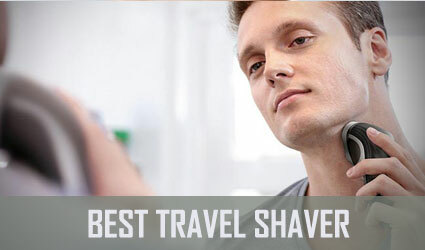 Manual razors are much cheaper than electric shavers meaning that everyone can afford a close shave for a fresh look. In the electric shaver vs razor debate, it is important to underline that you can find razor blades anywhere. However, if you want to replace the head of an electric shaver, you will have to go through much more hassle. Razor blades are more traditional. This is why men tend to easily adapt to them instead of switching to electric shavers. Manual razors don’t make noise. As a result, you can experience a quiet shaving without the need for the very annoying buzzing of an electric shaver. Even if electric shavers are more portable, a manual razor comes in handy anytime because it can fit anywhere in your luggage. Nevertheless, using a manual razor can have its drawbacks as well, especially if you are not the careful type of person. If you don’t pay attention, you can cut your neck or face during a close shave. In this case, an electric device seems to be the safer choice in the electric shaver vs razor debate. If you are a man with sensitive skin, you are more likely to suffer razor burns and skin irritation when you use manual razors. You can’t have a quick razor shave. This process requires patience and attention, so rushing the procedure is not exactly the wise thing to do. When using manual razors, you always depend on grooming products including aftershave solutions and shave cream. Dry shaving does not apply to manual razors. For this, you need water to make sure that you will benefit from a painless shave. Getting a close shave with a manual razor doesn’t just take time. You also need to clean up after shaving. If you hate replacing your products, then you will definitely choose the electric shavers in the electric shaver vs razor debate. To sum up, manual razors and electric shavers both have many advantages. It depends on every man’s taste to choose one of these two devices. Moreover, you can always try both of them to see which suits you best. According to MenScience experts, there are a few products that will grant you the opportunity of having the best shaving results. These products are the Microfine Face Scrub, Post-Shave Repair, and Advanced Shave Formula. If you’re unsure of what to choose between an electric shaver and a razor, remember to consider how their advantages and disadvantages play to your lifestyle’s particularities.